GRAND FORKS, N.D. - A growing number of American students are eager to cash in on expected boom market for drone operators after more unmanned aircraft become legal to fly in U.S. airspace, which could happen in the next few years. The University of North Dakota's unmanned aircraft degree program, the nation's first, exploded from five students in 2009 to 120 students last year. Embry-Riddle Aeronautical University and Kansas State University have since added similar programs. 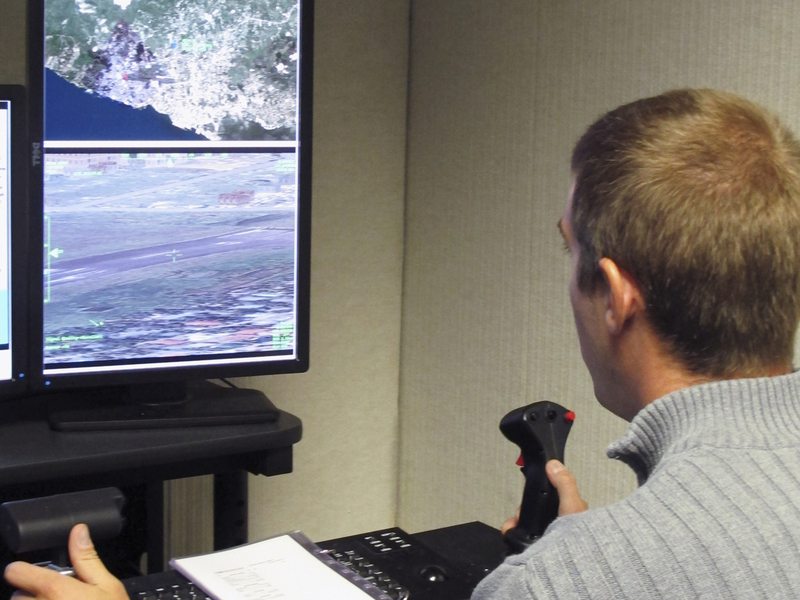 Dozens of other schools offer some courses in what's known as UAS (unmanned aircraft systems), which range from drones as big as small planes to 2-foot-wide mini-helicopters. Drones are best known for their use by the U.S. military, but other markets beckon. Amazon made a splash earlier this month by unveiling an embryonic effort that might someday deliver packages by drone, though the company acknowledged practical use is years away. Among those banking on a boom is Andrew Regenhard, an aviation student at the University of North Dakota and self-proclaimed video-game junkie. Instead of tapping his fingers on a controller, he is learning to fly the plane and use onboard equipment that includes a camera with a zoom lens. "Some people argue that nothing is going to be like flying an actual airplane. Granted, looking down and seeing you're 5,000 feet above the ground is pretty exciting, but I've always been addicted to video games, and this is awesome," Regenhard said. The skills needed to fly larger unmanned planes are not unlike those required to fly modern aircraft with computer-based flight controls, professors say. The toughest part of unmanned flying comes with doing it from the ground: You can't feel what's going on. Most of the potential civilian drone market is in precision agriculture. Unmanned aircraft are already used for seeding and spraying in Japan. Drones may be used someday to detect disease in crops, depending on the development of sensors. The potential applications for other unmanned aircraft are endless, said Michael Toscano, president and CEO of the Association for Unmanned Vehicle Systems International. The Boeing ScanEagle, which can fly for 20 hours on a couple of gallons of fuel, was originally developed to help commercial fishermen find and track schools of tuna. The Navy has used the plane to watch pirates. The Federal Aviation Administration projects some 7,500 commercial drones could be aloft within five years of getting widespread access to American airspace. An industry commissioned study last spring predicted more than 70,000 jobs would develop in the first three years after Congress loosens restrictions on U.S. skies. But concerns about security, privacy and whether drones will be able to detect and avoid other aircraft could push the grand opening beyond a 2015 deadline set by Congress.